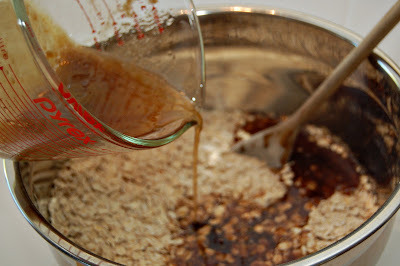 Mix together dry ingredients in a large bowl and set aside. Stir together wet ingredients in another bowl or measuring cup. Pour the liquid mixture into the dry ingredients and stir well, until entire mixture is moist. 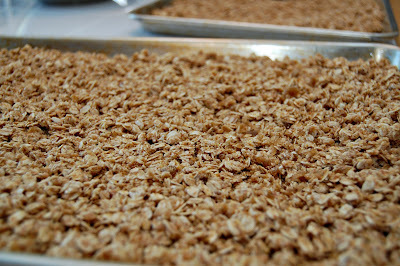 Coat two baker's half sheet pans (or any baking pan with an edge) with vegetable oil, and spread out granola mixture in an even layer. Bake in preheated oven for 25-40 minutes stirring carefully every 10 minutes or so to ensure even browning. 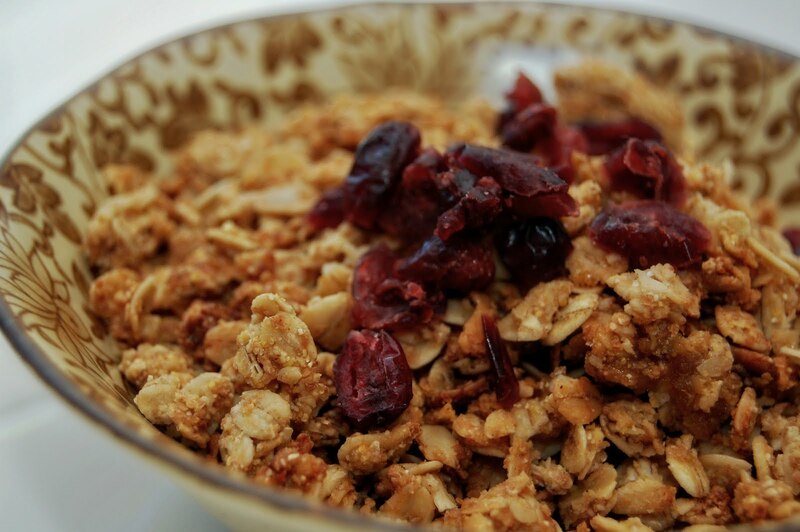 Granola is done when it is golden brown. It will still be soft to the touch when it emerges from the oven, but will become hard and crunchy when it cools. What a fabulous choice for a Monday! 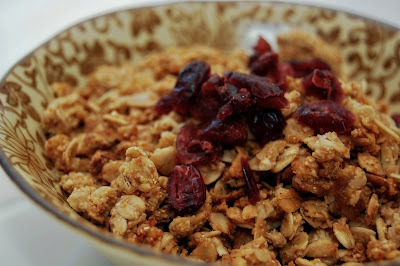 I too have been wanting some granola, but I wasn't sure where to find a proven recipe and now that it has appeared on your page I know it will work and be a wonderfully delicious addition to my breakfast routine. :) Thanks!